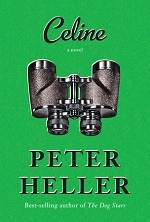 Heller’s newest introduces a very likable, elegant, private investigator in her later years. Blue-blooded Celine lives in a small apartment almost beneath the Brooklyn Bridge with husband #2, Pete. She is sixty-eight, she has emphysema, and her heart is broken. In the year since the Twin Towers fell her younger, then older sister passed away. She is just finding her way past the fiercest stages of grief. Relaxing one morning (by working on a macabre sculpture involving taxidermy) Celine receives a phone call from a young woman. Gabriela is a fellow Sarah Lawrence alum wondering if the famous “Prada P.I.” still takes cases. Celine is a daughter of privilege and an outlier in her family, preferring to forge a less-conventional route through life. She takes cases she considers “lost causes” – no spying on cheating spouses for her. This entry was posted on March 10, 2017, in Book Review. Even if you have shelves of cookbooks there is one that you reach for first. One that among the stacks of recipe cards, magazine pull-outs, and Pinterest boards is a stalwart you turn to for roasting times, béchamel, or icing. Mine is The Boston Cooking School Cookbook by Fannie Merritt Farmer. My mother used an edition from the 1940s that was her mother’s. 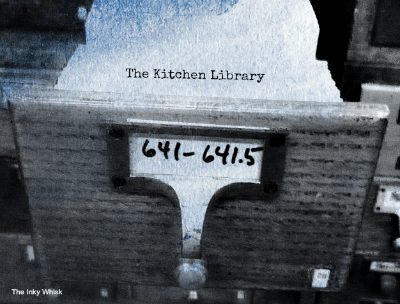 She loved it so much that when the family dog, who had good taste in cookbooks, chewed the cover (along with a few others – the cookbooks moved much higher on the shelf after that incident) my father had it restored. When I moved out she found me my own copy, a 1937 edition. I later added a second 1924 edition, found at an antique mall. 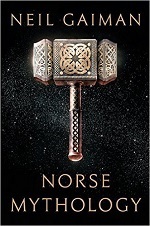 A collection of the extant Norse myths, retold with Gaiman’s unique voice, “Norse Mythology” recounts the stories of the gods and goddesses of Asgard from creation to the end of all things – Ragnarok. In an informative introduction Gaiman tells of youthful hours poring over library books filled with the exploits of Odin, Thor, Loki, and the rest of the Norse pantheon, as well as the giants, serpents, and wolves that also populate the myths. These beings bicker, compete, play pranks on each other. They are funny, petty, and cavalierly cruel. They speak to ravens, own boats that can be folded and stored in a bag, shape-shift, and drink so much beer and mead. Throughout Gaiman keeps a good balance of serious and silly with a stories-told-around-the-campfire tone. Chapters stand alone as simple short stories that beg to be read aloud. The themes, morals, and messages of “Norse Mythology” are familiar in the way of most myths and fables, but Gaiman’s assured, occasionally laugh-out-loud retelling makes this a must-read. Ideally on a cold night with lots of extra blankets. This entry was posted on February 23, 2017, in Book Review. It has been a while since I read a book as visceral and harrowing as this one. 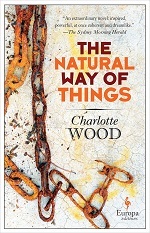 Relatively short at just over 200 pages, “Natural Way” is a powerful feminist allegory that gets up to speed quickly and does not relent. Yolanda wakes up in a strange place, feeling drugged, and wearing odd rough clothing – the homespun cloth of a homesteader. Soon she notices a second girl in the room with her, in the same strange costume and looking as bewildered and frightened as Yolanda feels. Her name is Verla. When a man comes in with no information and leads Yolanda off for “admissions” she is thrown into a yard of even more confused young women. They are on an abandoned sheep farm in the dusty remote outback of Australia. They are about to be punished. This entry was posted on February 21, 2017, in Book Review. The latest mystery featuring former Edinburgh Detective John Rebus finds him at loose ends. Retired for the last few installments he somehow manages to keep solving crimes, rather than spending his golden years relaxing, or traveling. Fine by me. 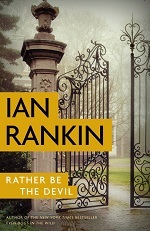 Ian Rankin’s long-running series has yet to disappoint. While dining at the elegant Caledonian Hotel Rebus is reminded of a notorious murder that took place there – a cold case he has never let go. In 1978 the beautiful Maria Turquand, wife of a rising banker, was found murdered in the room where she regularly entertained lovers. Also in residence on the night of the murder was musician Bruce Collier, his band, his entourage, fans, and other hangers-on. This entry was posted on February 17, 2017, in Book Review and tagged contemporary mystery, Rebus. At least five days a week I eat lunch outside my home, and most of the time it is a lunch I have brought from home. I’m spoiled – our break room has a microwave, a toaster oven, and a full-size fridge. I don’t need anything elaborate but I can’t just throw a sandwich and chips into a bag and call it lunch. Not many cookbooks are dedicated to the adult lunch. 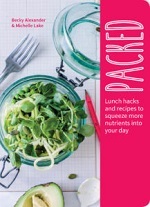 “Packed: Lunch Hacks to Squeeze More Nutrients in Your Day” by British food writer Becky Alexander and nutritionist Michelle Lake, fills that niche with ideas for meals and snacks that will travel well and will fortify you for the second half of your workday. Bohjalian’s latest novel is less about the sleepwalker of the title, Annalee Ahlberg, than the bereft family she leaves behind. 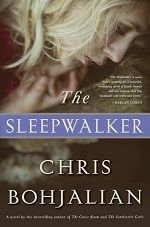 She disappears in the middle of the night — possibly drowning in a nearby river, maybe falling — leaving two daughters and a husband to find their way forward in her absence. This entry was posted on February 14, 2017, in Book Review.